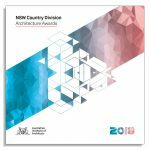 The 2018 Country Division Architecture Awards were announced on Thursday 4 October in the Hunter Valley as part of the NSW Regional Conference, with fifteen projects recognised across twelve categories. 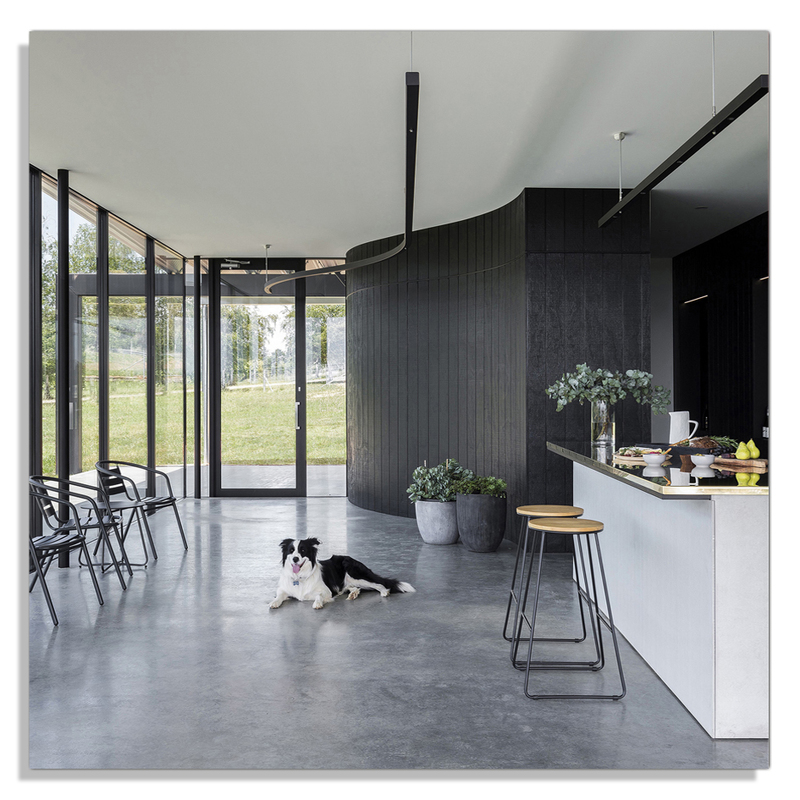 A cellar door built for a boutique winery in Orange, Montoro Wines, took out the top prize for regional architecture, the James Barnet Award. 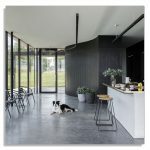 Designed by Orange-based practice Source Architects, the building was conceived as a broad platform where inside and outside bleed together to form a continuous space that encourages patrons to linger on the terrace and be a part of the stunning landscape that provides the building’s context and vistas. 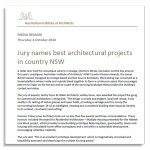 This year’s People’s Choice Award gathered over 1200 member and public votes, with the most votes going to Byron Shire Council Foyer, Mullumbimby, by SPACEstudio. 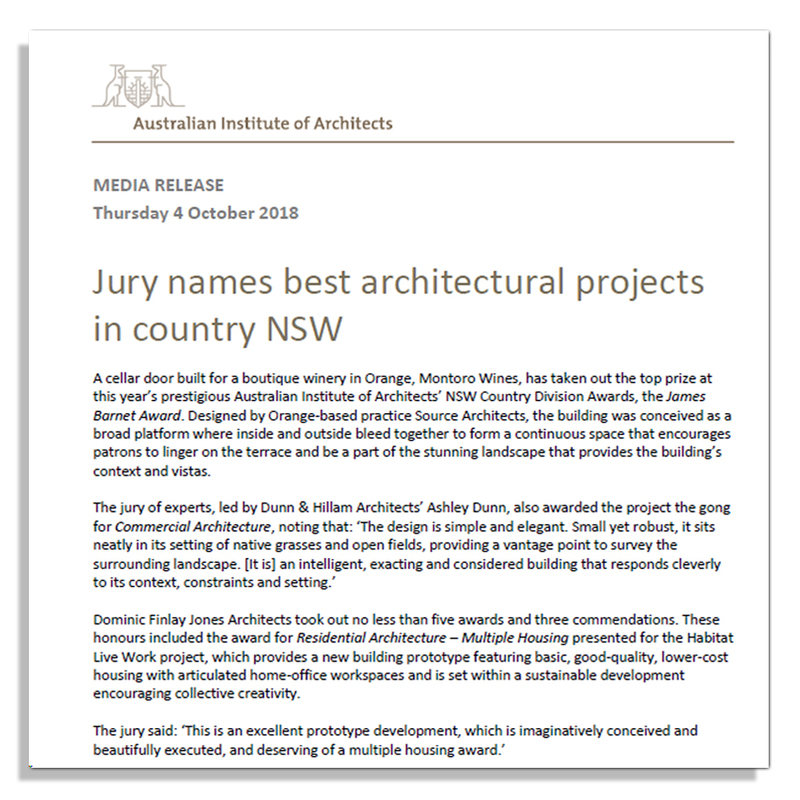 View the press release for a full list of all this year’s winning projects.